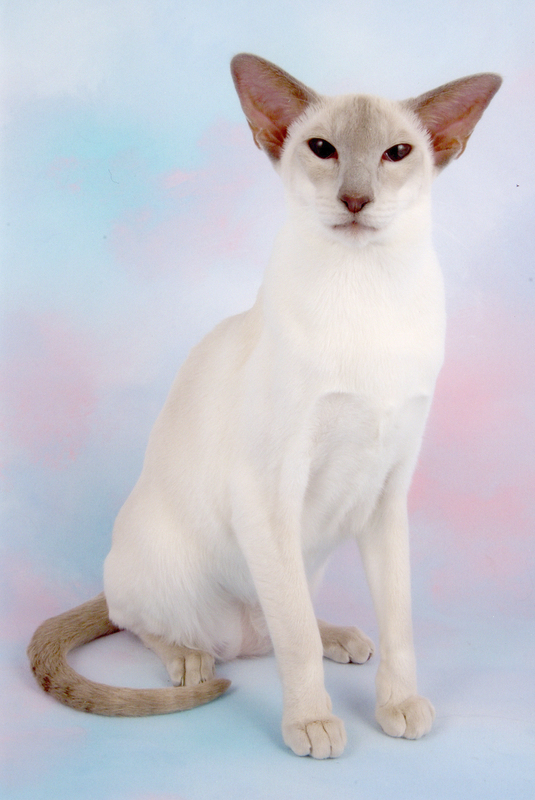 We are so proud of this loving delightful girl who has always enjoyed being shown and has become the first Siamese we have bred to gain both Gr Ch and Gr Pr titles. UK & Imp GrPr at the Supreme Show November 2011. UK GR, MARTIN’S GRCH & IGR PR ABICASA CARMINA BURANA. (24c) 13.2.07. An extremely beautiful lady of superb type and colouring. Short strong, and perfectly even wedge head. Large ears wide at the base, set in line. Very good profile and chin. Level bite. Dark blue and expressive oriental eyes. Long well nourished body – beautifully toned. Dainty legs. Whip tail. 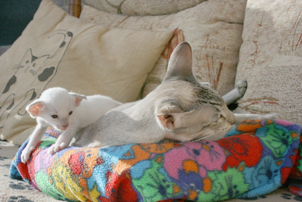 Superb warm pinky grey points. Short, close lying coat of excellent texture – free of shading. I absolutely loved her! 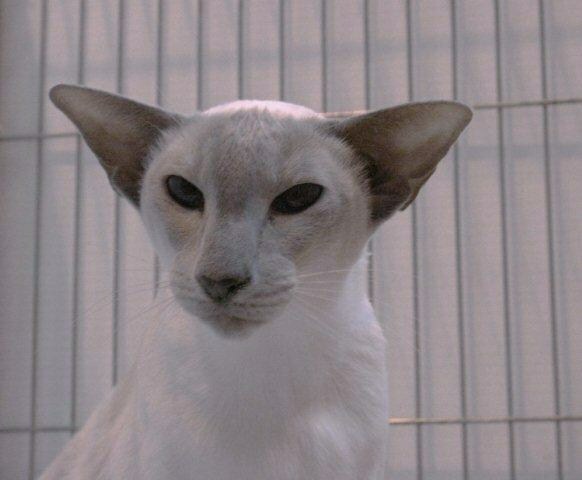 Super Lilac-point female, both stylish & substantial. Even wedge head with almost straight profile & a firm chin. Eyes of bright blue ,oriental in shape & setting & full of expression. Well set large ears, maybe held a fraction low(nit-picking here! )long strong body & legs, whip tail of length to balance. Short fine textured close coat, well polished & showing minimal shading, points of pleasing pinkish-toned lilac. Most beautiful lady, absolutely immaculate & with a happy & confident temperament - I loved her! I was delighted that she was Best Siamese Neuter, many congratulations.